Social media is an always on platform. For small business owners, it’s nearly impossible to stay plugged into social media when you are also running your day to day business operations. There is a simple way to manage your social media accounts without being online 24/7. Introducing scheduling. This simple yet powerful word will help your small business stay active and consistent online. Focus your energy where it’s needed. Do you spend your days greeting customers, answering phones, handling the finances, and managing your team? If this sounds like you then scheduling will be your new best friend. Simply set the date and time your content should post and get back to running your business. Stay consistent with your online brand. 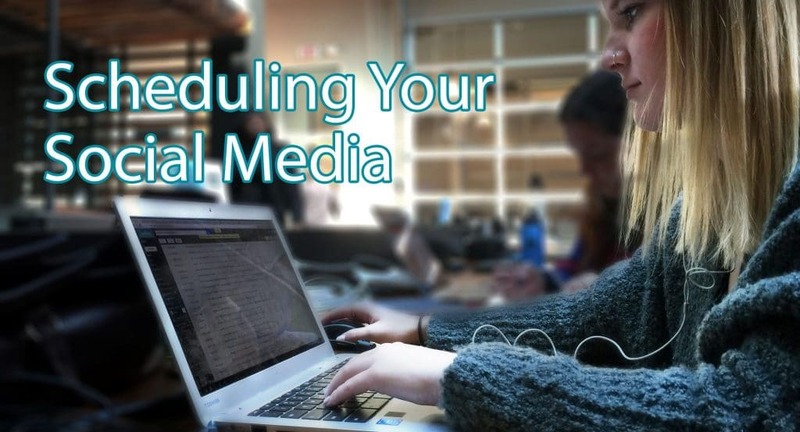 Scheduling your posts means you will need to plan your content ahead of time. But this isn’t a bad thing. In fact it’s a very good thing. Planning your content will help you create and stick to your online voice and brand while ensuring a well balanced and thought out message. Grow your online community while you sleep. Social media can bring people with common interests together at all times of the day (and night!). Scheduling will allow your business to reach followers where they are spending their time and when they are doing it. Peace of mind. Enough said. Peace of mind goes a long way for small business owners. Still not sure you have the time to manage your social media accounts? Let us perform a free web presence analysis and see how we can help your small business!